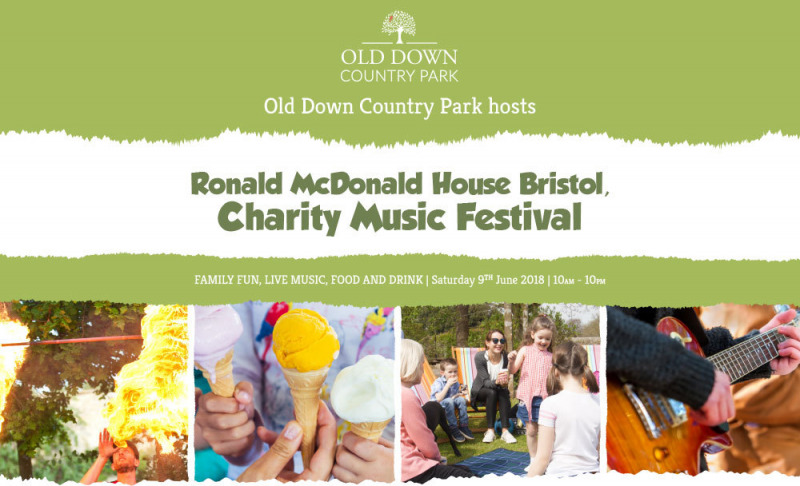 Ronald McDonald House Bristol is proud to present RMHB FEST – a music festival for the whole family at Old Down Country Park on Saturday 9th June 2018. Join us from 10am to 10pm for a day filled with live music from TOPLOADER, local bands, food, drink, stalls and lots of family fun. There will be activities to suit everyone such as games, circus skills, tennis, arts and crafts, as well as all of the amazing attractions that Old Down Country Park has to offer! There will also be an acoustic stage offering an Open Mic opportunity to anyone who wishes to play – please contact RMHB directly for more information. Camping is also available on the night. This is subject to availability and all enquiries must be made directly through Old Down. Ronald McDonald House Bristol is an independent charity providing free accommodation and support to families of critically ill children, receiving care at the Bristol Royal Hospital for Children. They have supported over 7,300 families over the last 15 years and hope to raise sufficient funds from this event to make 2018 their most successful and best year yet. Don’t miss out on this fun day for all the family and help support a worthy cause!